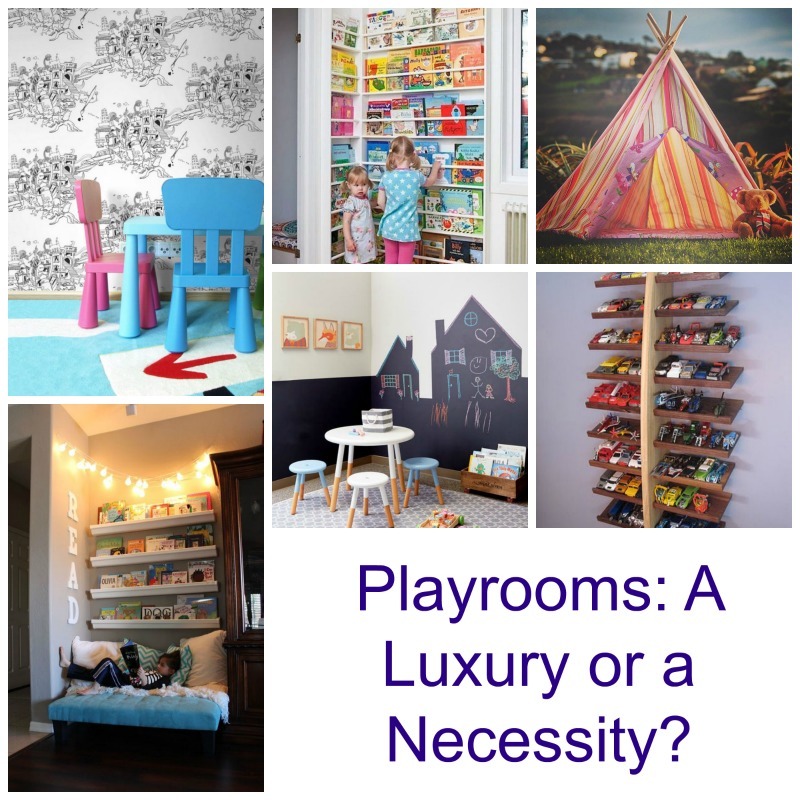 Playrooms: A luxury or a necessity? 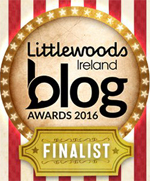 Playrooms – are they necessary? Well, they’re not compulsory but they do have their advantages. Even if toys are brought from the playroom to the other living areas, the playroom functions well as a storage area for all the toys that seem to increase vastly at every birthday and Christmas. If it gets messy, it’s out of sight of visitors, callers to the door and those who pass by. It makes good use of a seldom-used spare bedroom. It can make for a more peaceful life downstairs. It means that bedrooms are more restful if most toys are in the playroom. However, young children often prefer to be nearer to parents / guardians so you might find yourself running up and down the stairs a lot or bringing toys down to the living room and then returning them upstairs. If this happens, don’t despair – it won’t be long till they reach the age that they are happy enough to spend time on their own. 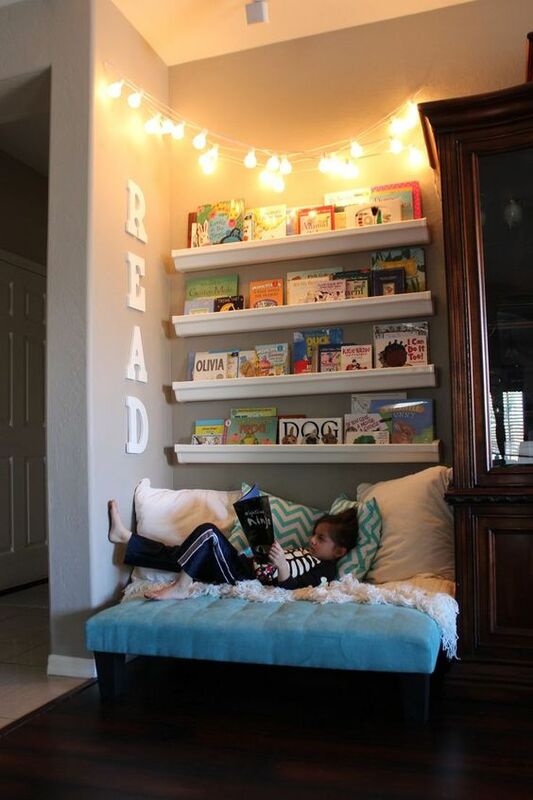 You can create a cosy and welcoming reading nook with a roomy armchair or small sofa. Children love snuggling up for storytime. Beanbags or large squashy cushions work well too. 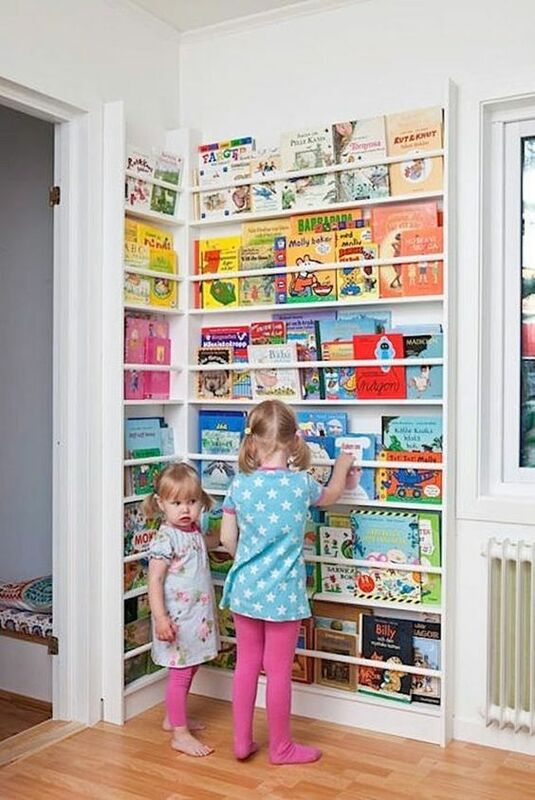 Shallow shelves that display books so that the front cover is visible makes them more accessible for young children and they form part of the decor too. You can never have enough storage. Using plastic baskets that slide into storage units are ideal as each tub can store a specific type of toy e.g. lego / train set / toy animals. It makes it much easier to tidy up too. Put a picture (rather than a written label) of the contents on the front of each tub so it makes it easier for young children to identify what goes where. Get them a miniature table and chairs and they will get hours of use. They’ll use them for drawing and writing as well as having their own tea parties. Hard flooring (wood rather than tiles) are a popular choice as they are easy to keep clean and are fairly resistant to spillages and accidents. A large washable rug is a good idea though as it makes the room feel cosier when playing on the floor. Do use double sided tape or pads to prevent the rug slipping on the floor. The roadmap type rugs serve dual purpose – great fun to play on and they still protect your knees! Let them make this room their own so provide them with extras such as part of one wall being painted with blackboard paint. It can be the one wall in the house where they can draw, wipe and draw again. 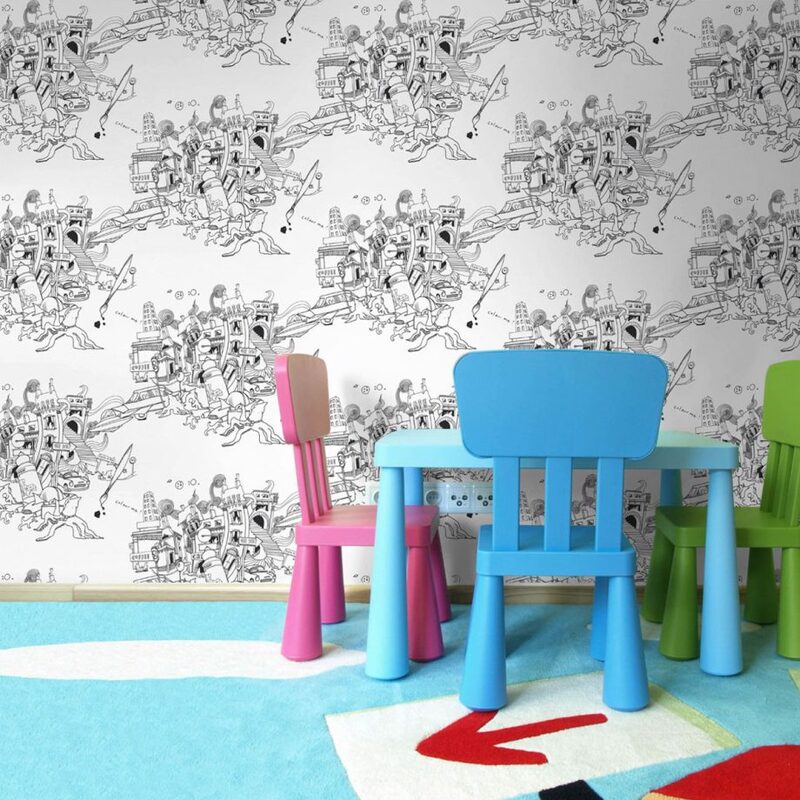 Alternatively, decorate with a “colour me” wallpaper and let them have lots of fun colouring them in. Kids love dens and often create their own under tables or using huge boxes. If the playroom is big enough for a tent or playhouse, they will get hours and hours of fun in it. 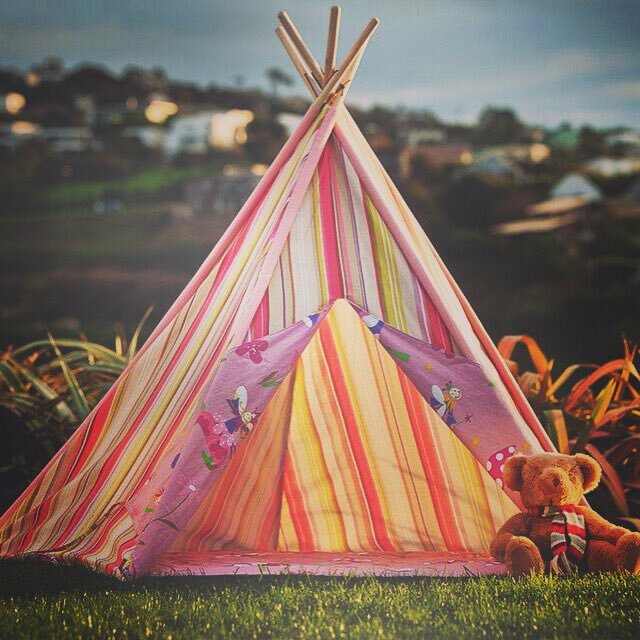 I’d love to crawl into this fairy teepee with a book! Available from Top Drawer and Pantry. Think about how you can store small items in such a way that their favorite items are on display and are easily accessible. 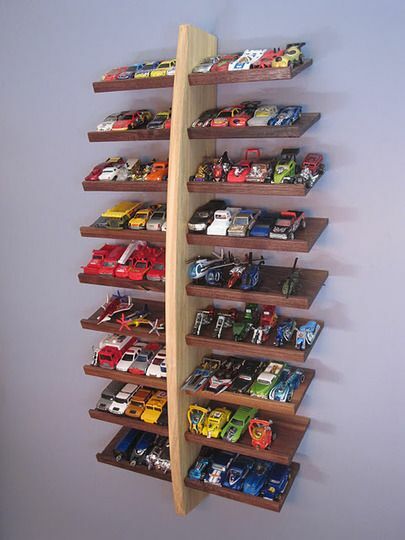 I love these shelves for storing and displaying the dinky cars. 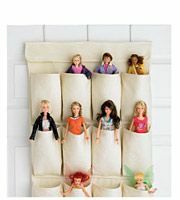 Shoe storage can be used for displaying and storing small dolls. If you’re building a new home and you’re planning a family or have young children, then adding a room now that can serve as a playroom now is a good idea. It won’t be dormant in later years as can be used as a study or home office. If your garage is really a glorified shed, consider converting it to an office / playroom. You won’t regret it. If you feel you need an interior designer, decorator, builder or carpenter in helping you create the perfect playroom, do look for quotes on our website. And do let us know – do you have or would you like a playroom in your home? 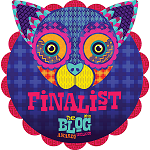 This entry was posted in Design Ideas and tagged decorating for kids, playroom, playrooms, tips for creating playrooms. Bookmark the permalink. I’m in the process of moving the furniture of my old house into my new one and have come across major difficulty in transporting many items from my kids playroom, old age seems to have gotten the better of me!! With that in mind, would you have anyone on your website who could help me as I am finding sourcing a tradesman of this calibre to be very difficult.